From Taraji P. Henson, Academy Award nominee, Golden Globe winner, and star of the award-winning film Hidden Figures, comes an inspiring and funny memoir—"a bona fide hit" (Essence)—about family, friends, the hustle required to make it in Hollywood, and the joy of living your own truth. With a sensibility that recalls her beloved screen characters, including Katherine, the NASA mathematician, Yvette, Queenie, Shug, and the iconic Cookie from Empire, Taraji P. Henson writes of her family, the one she was born into and the one she created. She shares stories of her father, a Vietnam vet who was bowed but never broken by life's challenges, and of her mother who survived violence both at home and on DC's volatile streets. Here, too, she opens up about her experiences as a single mother, a journey some saw as a burden but which she saw as a gift. 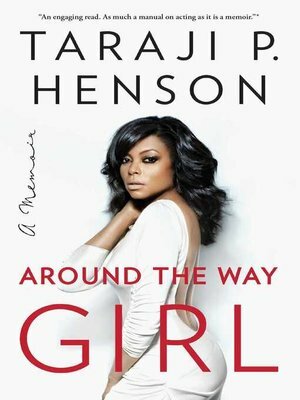 Around the Way Girl is also a classic actor's memoir in which Taraji reflects on the world-class instruction she received at Howard University and how she chipped away, with one small role after another, at Hollywood's resistance to give women, particularly women of color, meaty significant roles. With laugh-out-loud humor and candor, she shares the challenges and disappointments of the actor's journey and shows us that behind the red carpet moments, she is ever authentic. She is at heart just a girl in pursuit of her dreams in this "inspiring account of overcoming adversity and a quest for self-discovery, written with vitality and enthusiasm" (Shelf Awareness).